Harvey Cohen focuses his practice on corporate and transactional law and is located in Dinsmore's Cincinnati office. While Harvey was born and raised in the U.S., he has always had a passion and curiosity for lands and cultures outside of his native country. He is a long-standing, accomplished corporate attorney uniquely focused on helping clients win by practically, pro-actively and efficiently assisting with their domestic and foreign transactions. 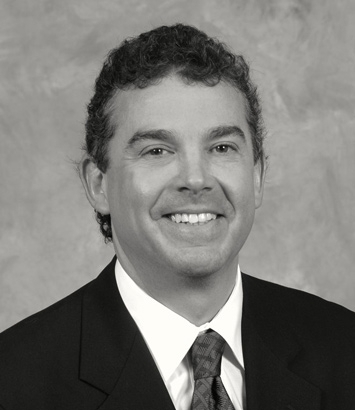 With several decades of studies and dealings abroad, Harvey applies his global experience to address cross-border strategies and complex issues in tandem with client product or service needs, specific industry situations, as well as "must haves" and "must avoids" before crafting any solution or agreement. His practice extends beyond transactions however. In addition to handling general corporate matters, he also routinely advises clients on Foreign Corrupt Practices Act (FCPA), Export Control, and Denied Parties and Sanctions (OFAC) issues, as well as handling licensing, distribution, sales, sourcing and compensation agreements. In recent years, Harvey and Dinsmore have devoted significant resources to cross border bank regulatory and lending matters. Throughout his long career, Harvey also routinely counsels clients on SAAS and complex tech licensing, software development, Cloud/ASP agreements, hosting, business-to-business issues, outsourcing and high-tech agreements generally. Harvey is known for asking the hard, practical questions up front that cause ill-conceived deals to die early or that assist clients to forge alliances that are more likely to succeed and endure. His clients benefit from his extensive experience handling cross-border mergers and acquisitions, and with Dinsmore having more than 150 foreign clients, Harvey tailors his strategy to meet the unique needs of each client. Among his most noteworthy transactions, he handled joint ventures with a German logistics provider and a German consumer products company and both a Chinese alternative energy producer and lubricant oils producer, as well as assisting with a $150 million cross-border acquisition transaction. Throughout his career, Harvey has represented a number of significant clients, including Procter & Gamble, Standard Register, Fifth Third Bank, Omnicare, First Data, Shaw Flooring and Toyota in deals totaling over billions of dollars. His international business transactions have included joint ventures, mergers and acquisitions of foreign subsidiaries and entities in Europe, China, Mexico, Canada, India and Latin America. Harvey chairs Dinsmore’s International Business practice group. He is also the Chair of the Closely Held and Growing Business Enterprises Committee of the International Bar Association (IBA) and represents the Ohio State Bar Association in the IBA’s Governing Council. He frequently lectures in the U.S. and abroad on high technology, domestic and international joint ventures, mergers and acquisitions and other transactions for international organizations and business groups. Corporate Mergers and Acquisitions and Technology committees.